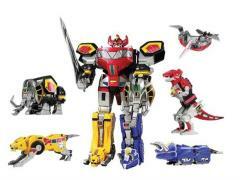 Box Size: 13" x 10" x 4"
The Mighty Morphin Megazord is the iconic symbol of the original morphenomenon. This reworked version features die cast parts, metallic paint, metallic foil stickers and all the functionality and morphing ability found in the original. 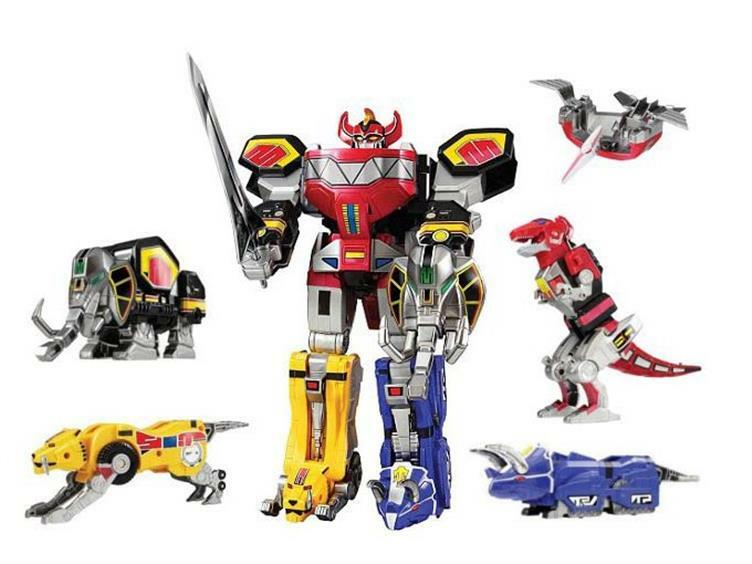 Forms the five original Zords as well as other battle modes. Perfect for play or display.